When one of my farmer friends named Val asked me whether I wanted her to be listed by her blog or whether I wanted the Vals to be listed together, I knew what I had to do. Yep, I needed the letter V to be about two farmers named Val! 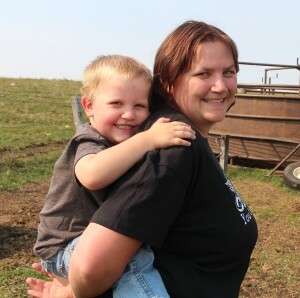 These two women raise kids, drive tractors, care for livestock and more. They seem to do it all! I remember meeting Val Plagge a few years ago at Commodity Classic…. those were the early days of organizing tweetups to meet all the folks in real life we were meeting online. I’m thinking she may have been pregnant for the first time…. since then, the family has grown! 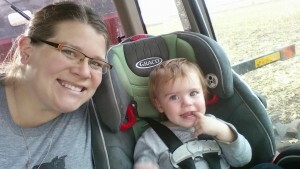 Val blogs about her family & farm in Latimer, Iowa under the Corn, Beans, Pigs and Kids. I’ll give you a minute to guess what they grow. Yeah, it is pretty easy! I’ve been in agriculture since I was born my parents would say. My Dad always joked that if it hadn’t been raining on my birthday in late-October he may have not made it. He’s of course joking, but I went on my first combine ride when I was days old and it has been a love of mine ever since. Growing up my sisters and I were very involved with our farrow to finish hog farm, especially in the nursery with the baby pigs. We took care of daily sheep chores for our small flock. And it was a highlight when I turned 10 because I had reached the age my parents had deemed as “tractor driving” age. I was involved in 4-H and FFA in my youth, which helped steer me into an Agriculture Communication degree in college. 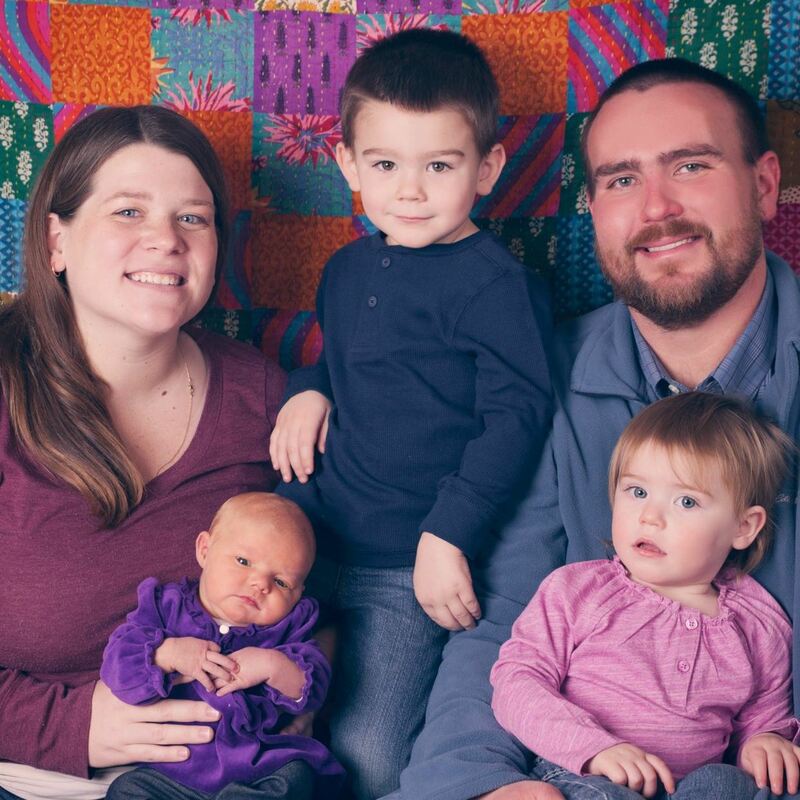 Now my husband and I farm and enjoy having our kids be involved starting when they are days old, just like it started for me. I love and appreciate the family legacy aspect to farming. My husband and I are both 5th generation farmers, raising the 6th generation in a business and lifestyle we both love. Farmers pride themselves on putting food on the table and preserving the land we work and live on. And even though the number of tables fed and the techniques and technologies have changed through the years, the work ethic, responsibility and respect have not. Because of this, the next generation feels purpose to continue their family’s farming heritage, including my husband and I. Both of us always planned and dreamed of farming as adults. We feel so fortunate to be doing so today, and we hope that we can provide that opportunity for our kids when they are adults. Val Wagner is such a close friend… She’s someone who makes me laugh, who touches my heart and who can convince me to visit North Dakota…. not once but MULTIPLE TIMES! I remember how hard she worked on me when she found out her home state was one of the few I hadn’t been to… Before I realized it, I was planning a vacation to North Dakota. I’m not even joking. But work actually took me there first. The first time I went to her farm, it was to pick sweet corn. She was participating in a program through Monsanto to grow sweet corn for the foodbank in her area — a video was even made up to share the story. I shot a short video for work too… it showed the excitement of her youngest when his shucking revealed corn! via Wag’n Tales | Mommy of 4 loving her farm life…come along for the ride!. 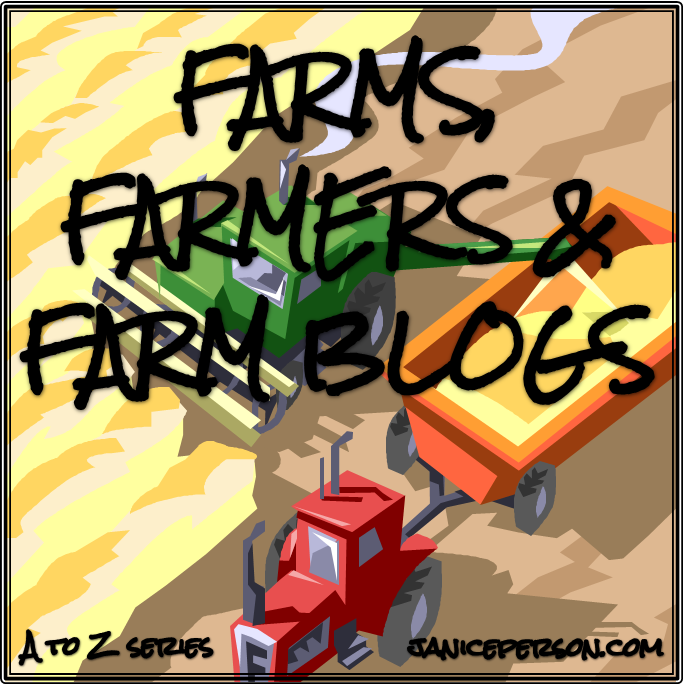 My Farms, Farmers and Farm Blogs A to Z project is clicking along! The letter V is one that could have been challenging were it not for the Vals! When I did the A to Z on agriculture, I wrote about viticulture or growing grapes for wine! You may also want to check out the A to Z on agriculture I did a few years ago!